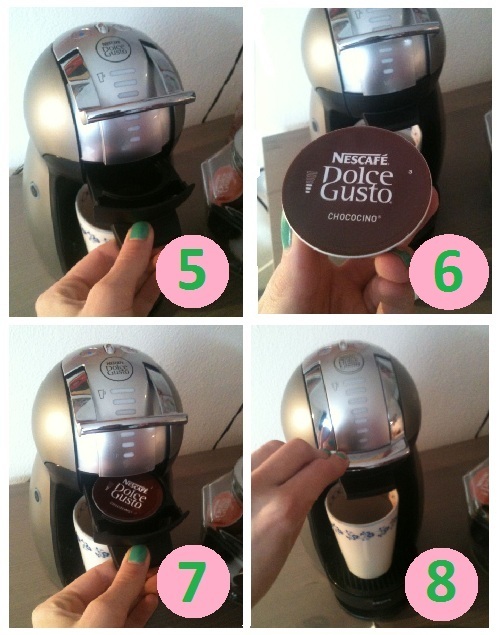 Review Nescafé Dolce Gusto: I was one of the lucky ones, who could test the new Coffee-maker the Nescafé Dolce Gusto. After 10 years of drinking coffee made with a filter, this is something new! After seeing more all the different flavors, I was immediately enthusiast! You can make coffee specialties from normal coffee, to cappuccino, to a latte! Everything is possible! My favorite until now is definitely the Chococino! This is a combination between hot chocolate and coffee, with a layer of cream on top! In this article, I will explain, for the coffee-pad-virgins, how to make this delicious cup of Chococino! Step 1: Make sure that the coffee-make is on a save place. Step 2: Fill the water thank with water. Be aware: don’t add too much water. 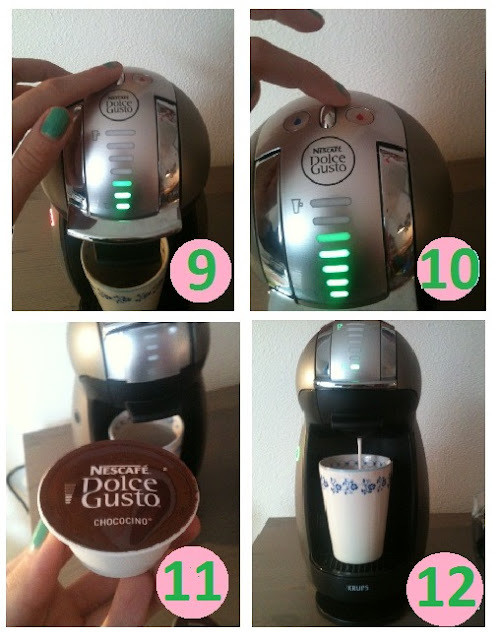 Step 3: Get a mug of the right size (you can see this on the box of the coffee) and place it in your machine. Step 4: Push the black handle up. Step 5: You can now pull the pad-holder to you. 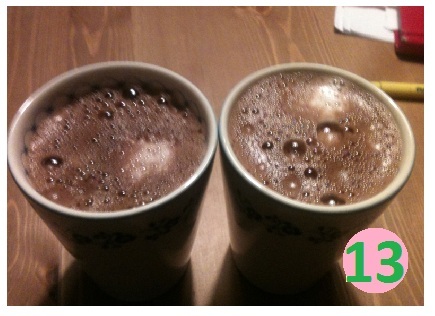 Step 6: For our Chocoine, we first place the cup with chocolate. 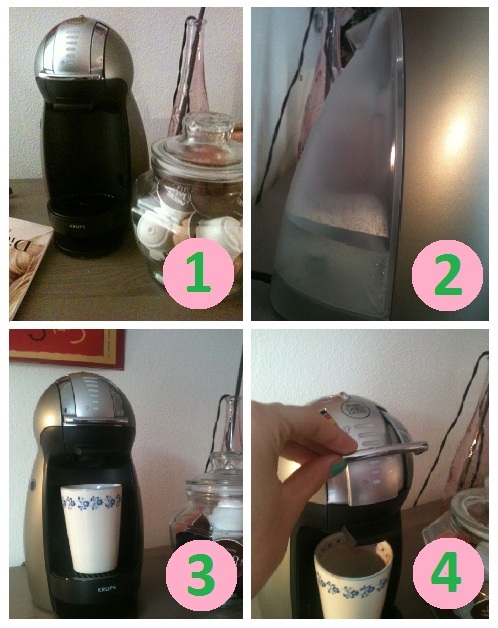 Step7: Place the cup in the holder and close it. Step 8: Push the black handle down. Step 9: Chose how strong you want your chocolate milk. Step 10: You can go for cold of warm chocolate milk by pushing the red or the blue button. Step 11: Repeat those steps with the second cup: the milk. Step 12: Wait until your mug is full! It looks like a lot of work like this, but it actually isn’t. I am very enthusiast! Are there more people who own this coffee-maker? Do you also want to test free, new products? Take a look at www.theinsiders.eu! Until now the latte macchiato is my favourite!